We are team of experienced and passionate wedding planners here to take everything off your hands on your wedding day. When you hire us, you will always have a team of two, so look for one of these pretty faces throughout your wedding day to ensure your wedding day needs are always being met. Sometimes I am already booked on your date, so one of these lovelies will take over executing your wedding day flawlessly the Laine Palm Designs way with a bit of their own flair. She has been working in the Twin Cities wedding industry for the past 7 years, and truly has a passion for all things events. 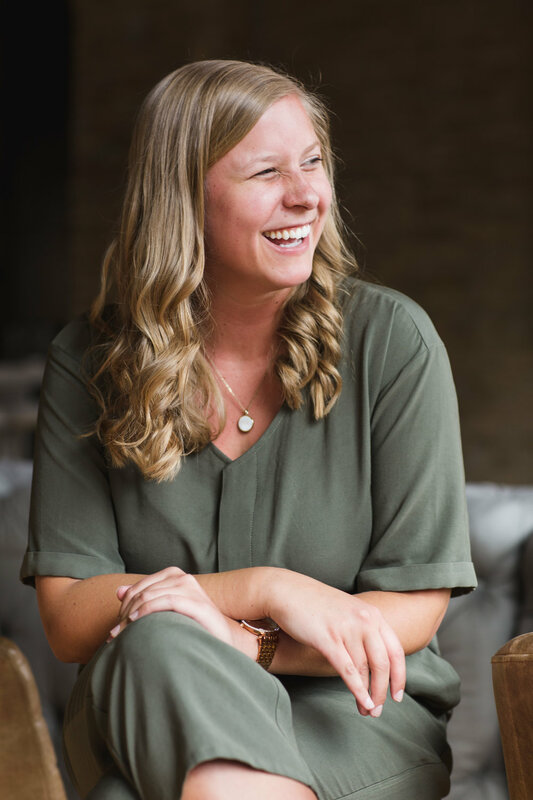 Ally graduated with a Bachelor’s Degree in Communications and Journalism from the University of St. Thomas, and since then has had the opportunity to work alongside some of the best venues, planners, caterers and magazines in the wedding industry. When Ally isn’t spending her weekends making wedding dreams a reality, she enjoys photography, taking her dogs on a walk or exploring the Minneapolis food scene. She is thrilled to begin season 2 as a Lead Planner on the Laine Palm team! This is Amy Oie (pronounced oy!). She is a U of M graduate with a business degree and a love for weddings. Mildly obsessed with floral and wedding design, she loves working with clients to create a vision all their own that’s completely unique and personal. When she’s not contemplating peonies or lilacs, Amy can be found rollerblading the streets of her hometown, Wabasha, prancing around state parks, or hanging out at farm sanctuaries with friends. She is thoroughly addicted to bubble tea, has a passion for social and environmental justice, and is constantly planning (and saving for) her next trip! After going through the process of planning her own wedding (and loving it), Brianna is excited to join the team and continue doing what she loves. Brianna is an Account Manager for a local marketing agency, so keeping things on schedule and on track all while exceeding client expectations is something that comes naturally. While she isn’t working, you can find her boating with her family, playing with her dog Rupee, or redecorating every room in her house. Ashley graduated from Miami University with a degree in Marketing and has always had a passion for planning. She moved to Minnesota four years ago and found herself engaged to her college sweetheart. Through her own wedding planning process, she discovered her talent in event design, organization and communication. 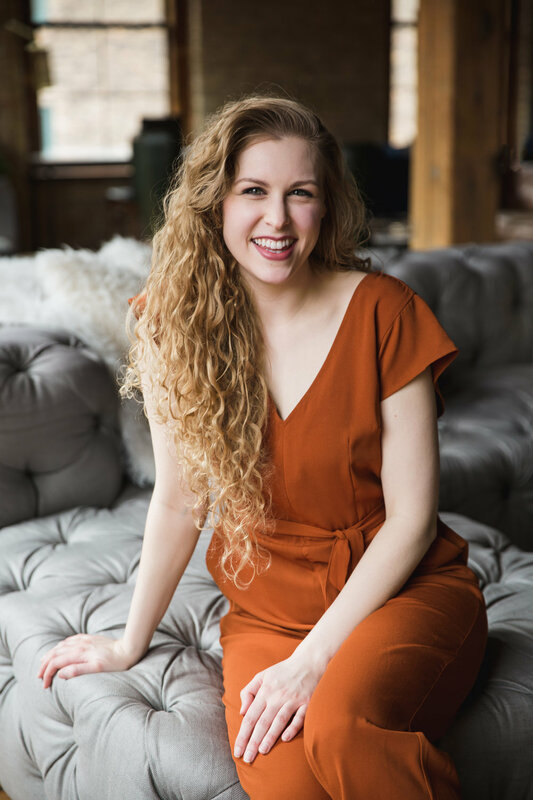 In her free time, you can find Ashley at the dog park with her rescue dog (Finley) or exploring the never-ending, exciting things to do in Minneapolis. Ashley is so excited to work with couples and help make their wedding dreams come to life. She can't wait to meet you! Bri graduated from the University of St. Thomas with a degree in marketing. During college, she discovered her passion for weddings while working as a coordinator at The Van Dusen Mansion. Her favorite parts of the wedding day are the vows, the music, and of course making sure everyone has the best time! When she’s not working as a media planner at a marketing agency downtown, she’s planning her next trip, making killer Spotify playlists, going to concerts, and searching for the best nachos in the Twin Cities. This is Olivia Goskey! She is graduating from UMD with a Communication and Business degree in May of 2019. While in school she worked for an event planning company in Duluth and was an assistant to UMD’s event planner. She calls the small town of Zimmerman, MN home, but in her free time she likes to travel to new places and is always looking forward to her next trip! She also enjoys shopping, being on the lake and spending time with friends and family. Olivia is passionate about fashion, decorating, floral and basically all things pretty! She loves to help plan and organize events and she is super excited to be a part of the Laine Palm team! Michaela is a student at the University of Minnesota with a major in retail merchandising and a minor in management. She fell in love with weddings as a young flower girl and is now pursuing her dream job working with Laine. Michaela has a love for design, traveling, and anything puppies. If she’s not at school or work, you can find her up north on a boat with friends and family. Michaela is beyond excited to work couples in order to make their dream wedding come to life.